Stefano Boeri, born in 1956, is a Milan-based architect and since April 2011 he is Councillor for Culture, Design and Fashion for the Municipality of Milan . 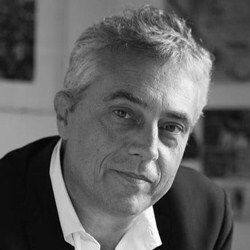 From 2004 to 2007 he was editor in chief of “Domus” international magazine. From 2007 to 2011 he was editor in chief of the international magazine “Abitare”. Professor of Urban Design at the Politecnico di Milano, he has taught as visiting professor at Harvard GSD, MIT and Berlage Institute among others. He is the founder of “multiplicity”(www.multiplicity.it) international research network dedicated to the study of contemporary urban transformations. Co-author of different volumes such as Mutations (Actar, 2000), USE (Skirà, 2002) e Cronache del Abitare (Mondadori, 2007), Biomilano (Corraini, 2011) and author of “Anticittà” (Laterza, 2011). Stefano Boeri, with his texts and reflections, is a regular contributor to several magazines and newspapers. Together with Richard Burdett, Jacques Herzog e William MacDonough, Boeri was part of the Architecture Advisory Board in charge of developing the guidelines for the urban transformations to be implemented within the frame of the 2015 Milan Architecture Expo.